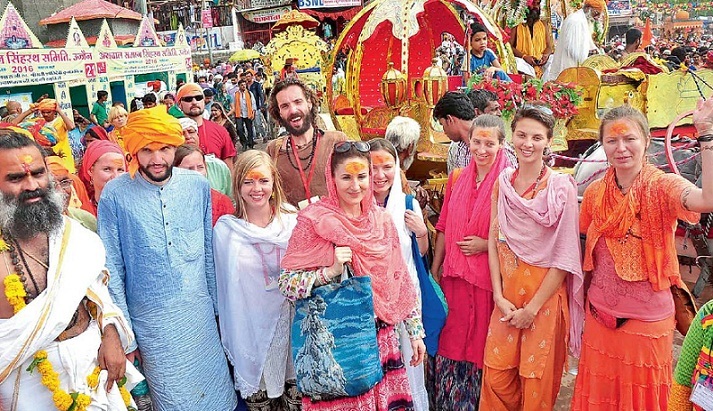 Foreigners come to Ujjain Kumbh--Simhsatha, in large numbers. 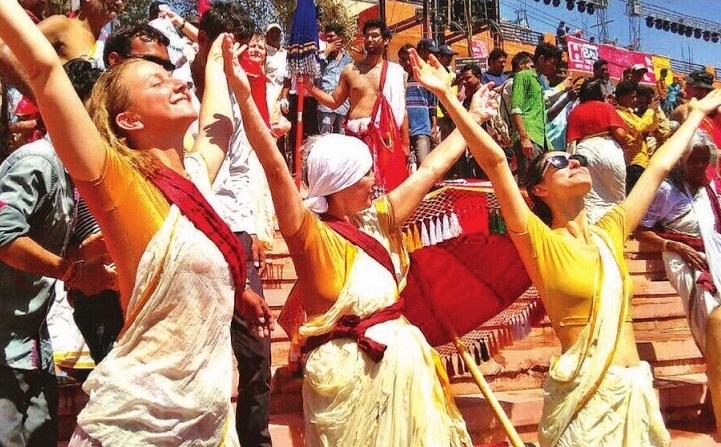 Many come as tourists and are drawn to the practices and the saints. Some others are already devoted to Gurus and come along with them. 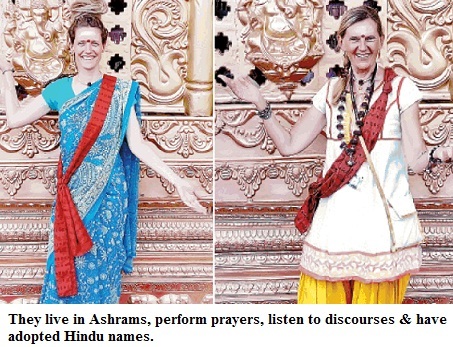 In fact, many foreigners convert to Hinduism and adopt Hindu names too. They stay in the Ashrams, enjoy the atmosphere and go back with experiences about the Indian culture. Take for example, Manithia, who hails from Netherlands. She starts her day at 5 am, after prayers, she listens to discourses. Marianne is from Australia. She comes whenever the Kumbh is held in India. She had gone to Allahabad and Nasik too. She enjoys the atmosphere. As she doesn't know Hindi, she talks to her Guru in English. Once back, she will deliver lectures on spirituality and Hinduism in Australia. First, see photos of some foreigners who have come from different parts of the world. From Russia, from Europe, from Australia, from East Asia, et al. 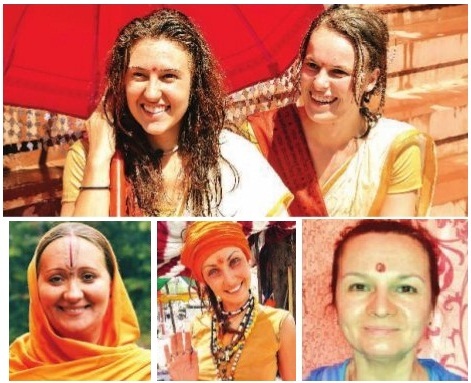 On the left are photos of some other foreigners in Simhastha. Sheena has come from Ukraine, claims that she learnt black magic too from her guru. She doesn't tell her age. Also, knows 'Shiv Tandav'. Feels serving people and humanity is foremost. 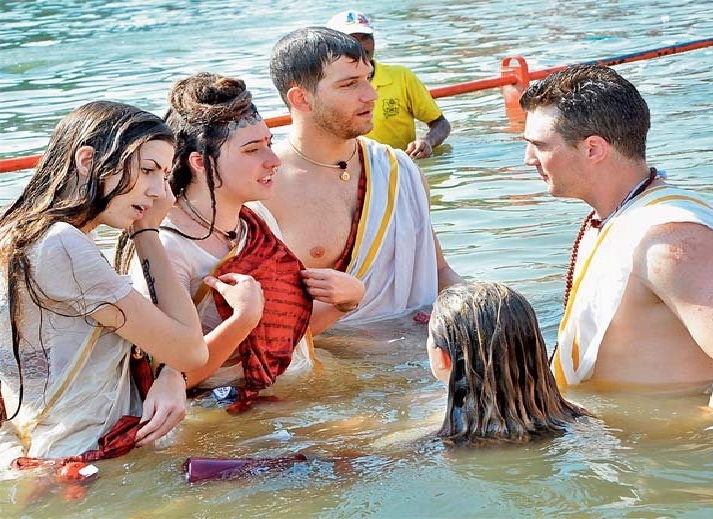 Maa VishvaGodavari has come from France. 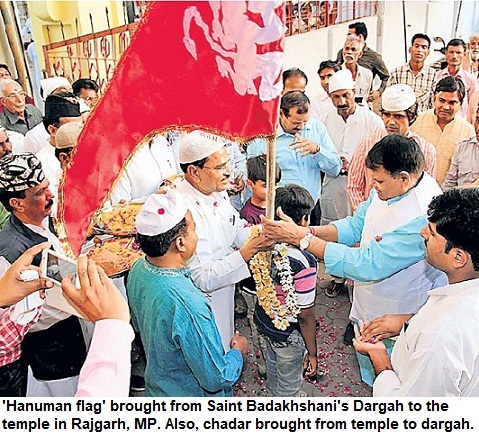 She has been preaching Hinduism and tells people about Hindu culture. She knows Yoga and has instructed many people in Romania. Amrita loves the bhajan, 'Tu pyar ka sagar hai'. An Odissi danseuse, her real name is Ellena Morozova but she gets into trance when she hears, 'Om Namo Narayana'. 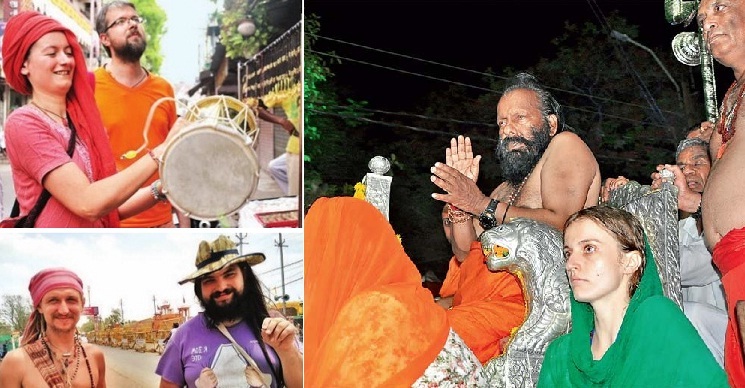 On the left above is a foreign devotee with Pilot Baba.